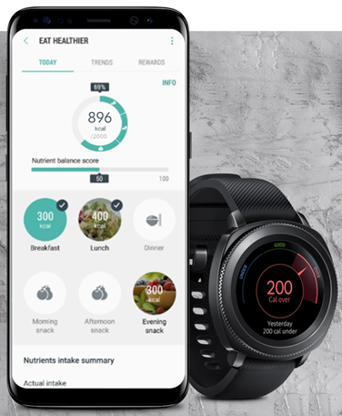 Gear Sport: How can I check the calorie balance using the Gear sport? can also ask the Gear Sport to send you alerts when it detects long periods of inactivity. The Gear Sport always encourages you to keep challenging yourself. how many calories you’re burning. You can check the balance in real time whenever you need motivation.